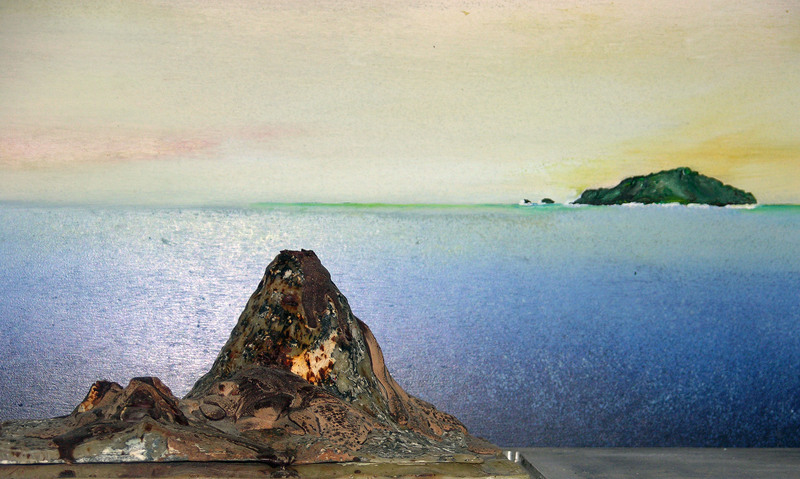 We see a model showing the Pitcairn hotspot’s deep ocean landscape. In fact, the Island of Pitcairn in the middle of the Pacific ocean, was at first unknown and un-charted, but now this island is famous for becoming the refuge for the mutineers from the HMS Bounty. The undersea volcanic edifices built on the hotspot of Pitcairn are abundant. According to the geologists who have explored the area, these submarine volcanoes are still in activity and provide precious knowlege to the scientific community. These volcanic edifices normally erupt their lava through lateral chimneys, but here we have a SURPRISE. Instead of molten rock, chocolate flows down the crater and during cooling it forms the same pillow-lava shapes that geologists have observed under the oceans ! 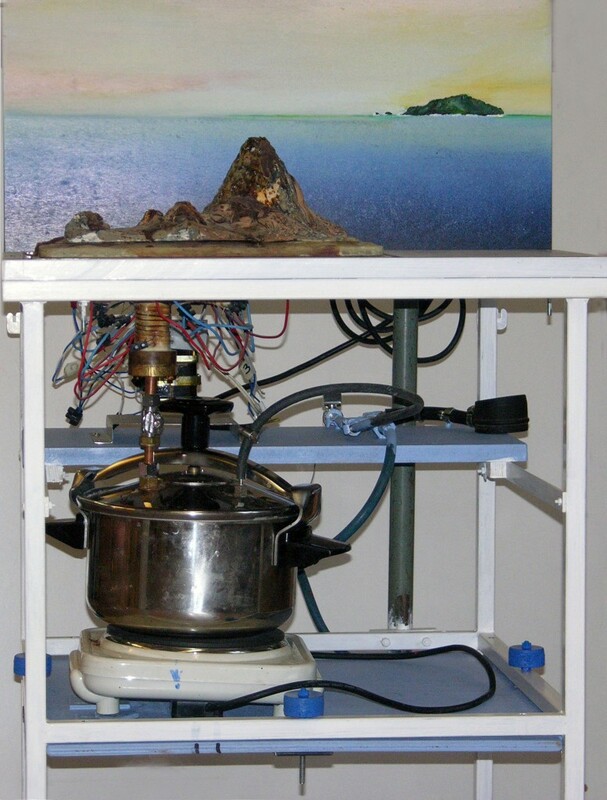 A PRESSURE-COOKER, heated by an electric hot plate…. What could be more true to life.! It represents the Magma Chamber, which is located in reality between 10 to 20 km beneath the earth’s surface. Add a manometer to the circuit and we have a 3-D construction of a model worthy of a high-tech scientific laboratory. * The formation of an oceanic island starting from undersea volancic eruptions and evolving over a period which can represent a geological time scale. We have tried to help you discover an environment that fascinates and exites the curiosity of many land dwellers, using a simple, but sweet, model. Our sincere thanks to Valérie and Fred for preparing our precious MAGMA-CHOCOLATE in their Bakery in the town of Le Conquet, Brittany.